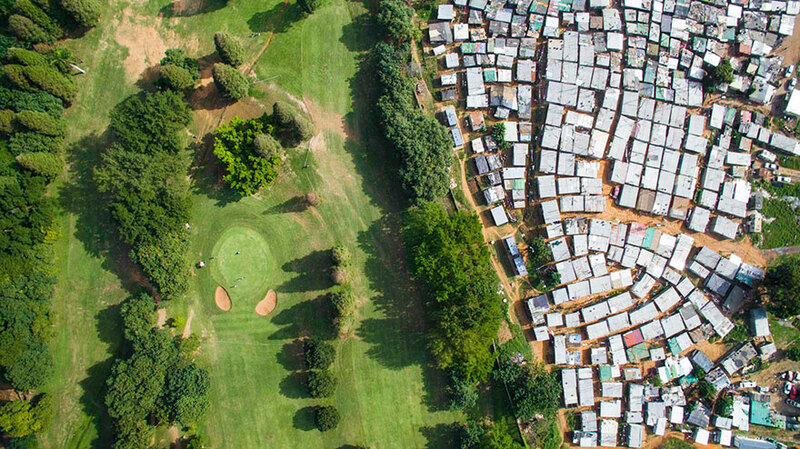 An American photographer, Johny Miller who now lives in Cape Town has captured the lines dividing the rich and the poor portrayed South’s Africa’s social inequality in an epic photography project using drones. 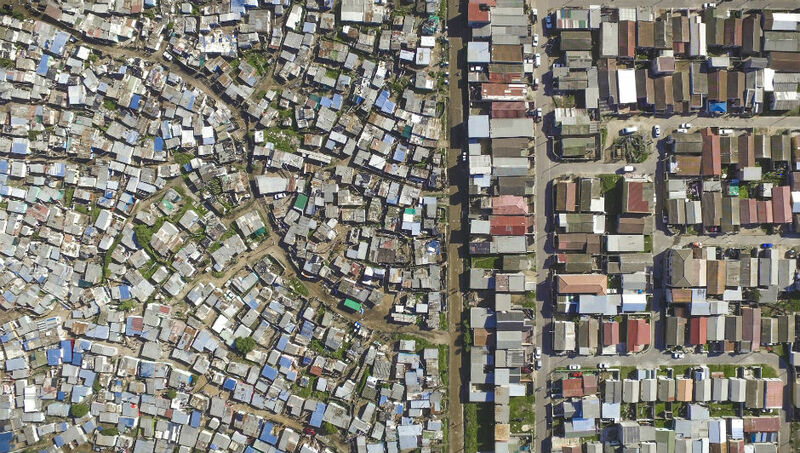 Unequal Scenes is part of an on-going project began as a Facebook post that garnered far more attention than Miller could have anticipated—his drone photo of the Masiphumelele community and its surroundings outside of Cape Town was shared more than 1,000 times, having only 1,244 Facebook followers. 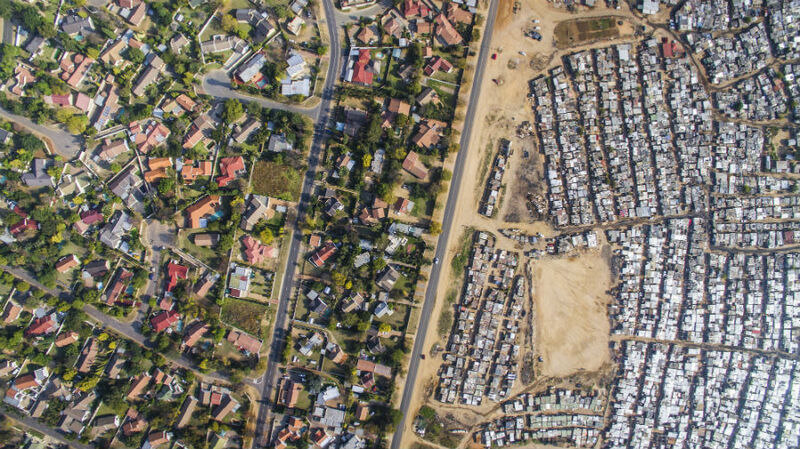 Since then, Miller has used his Inspire 1 drone to capture many other, similar photographs and videos across South Africa. 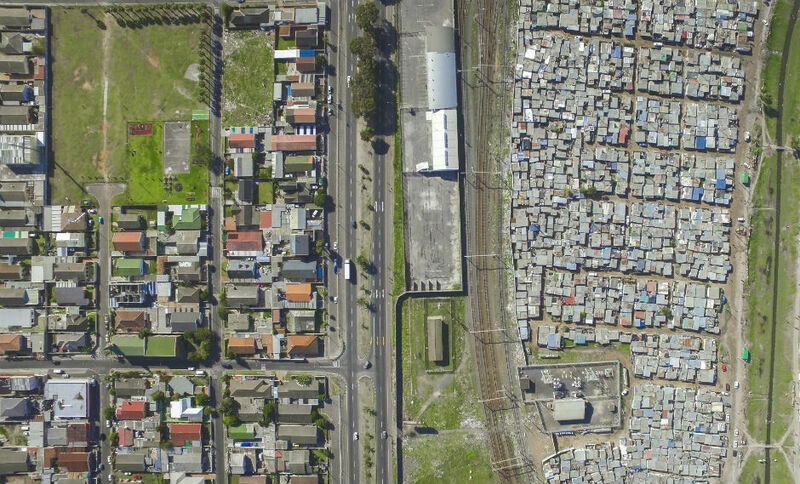 His images show the physical divides that separate some ultra-rich neighborhoods from filthy shacks. Sometimes that gap is 200m of wetland; sometimes it includes an electric fence and guardhouse. 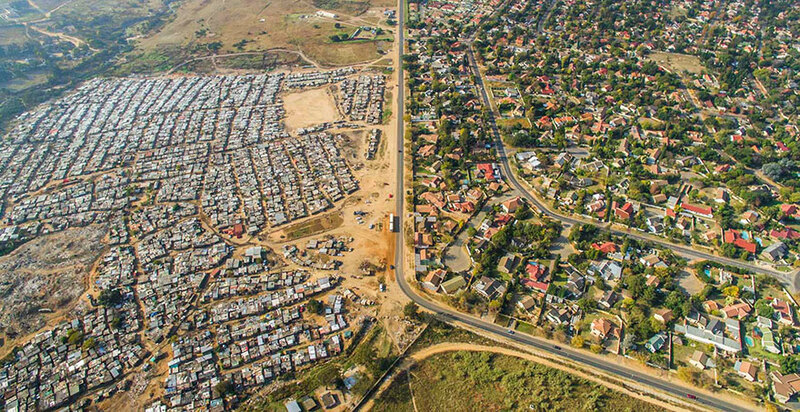 Drone photography is interesting because it affords people a new perspective on places they ‘thought’ they knew. Humans have this amazing ability to ‘think’ we know a situation, having seen it so many times from the same perspective. It becomes routine, almost a pattern. But, when you fly, you totally change that. 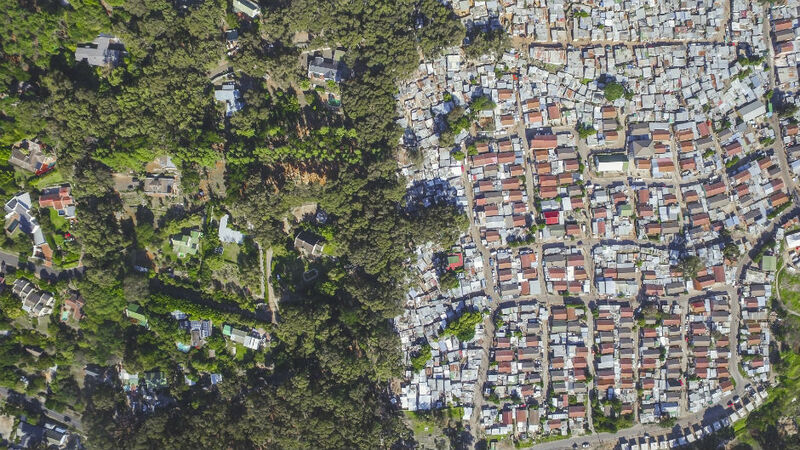 Buildings, mountains, forests – they all look totally different. Recently I spoke in front of a crowd and a man came up to me, whom I had never met before. 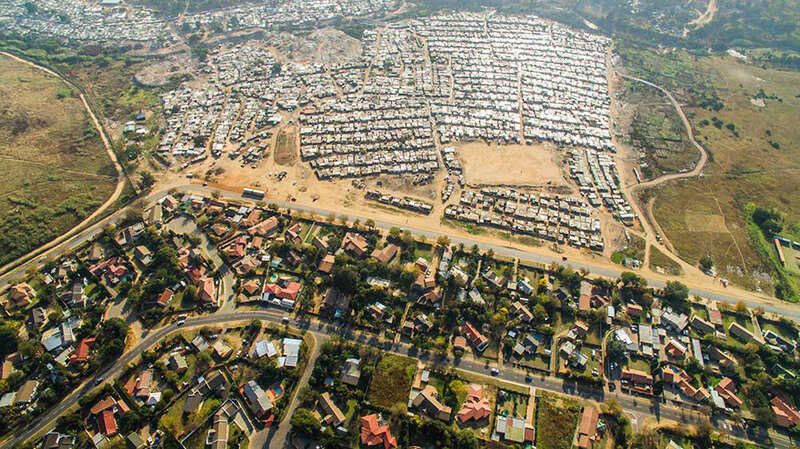 He looked me dead in the eyes, and said ‘you’re giving a voice to millions of people around South Africa, who are living in these conditions’. And that hit me very hard. 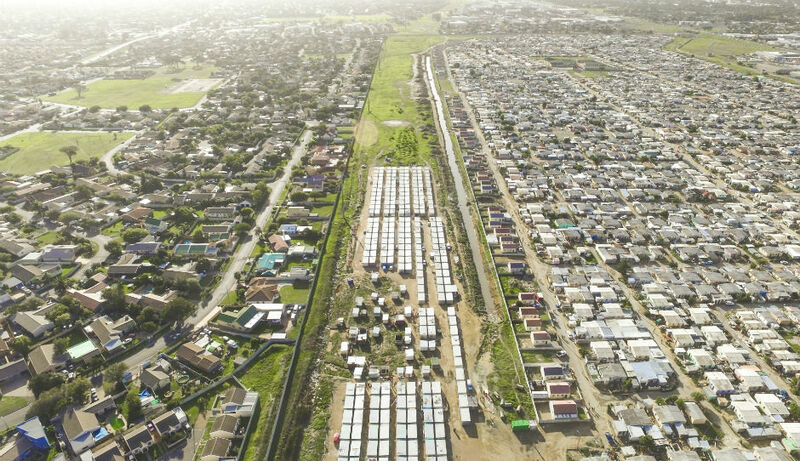 As this project gets bigger the responsibility to people like that grows larger and larger. It was a real eye-opener. 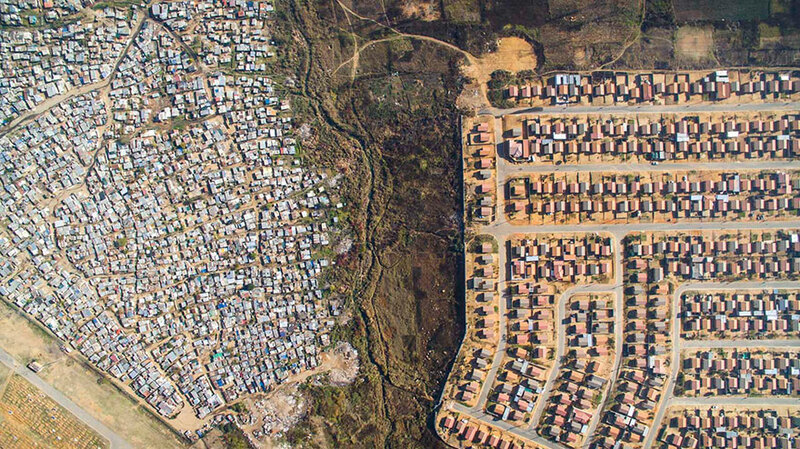 That’s why I’m not going to stop publishing these images. He added that he was surprised by the global success, his project gained overall. 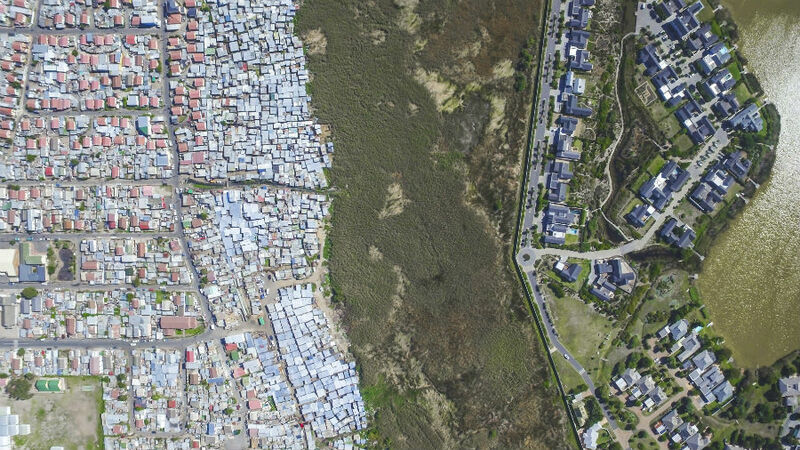 “Discrepancies in how people live are sometimes hard to see from the ground. The beauty of being able to fly is to see things from a new perspective – to see things as they really are,” writes Miller. 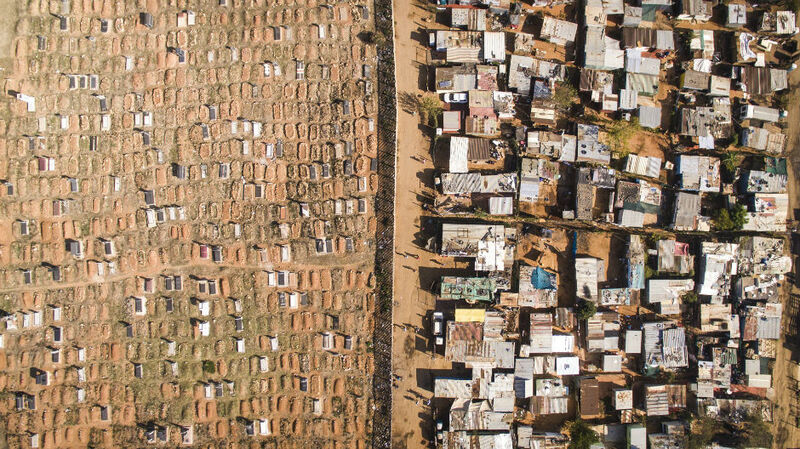 Image Credits: Johny Miller/Millefoto/Unequal Scenes. Will India Make It To NSG Under China’s Influence?